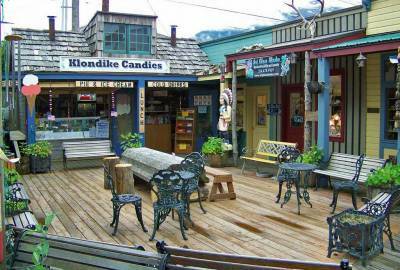 When you visit Skagway, you will see a very small town with false front wood buildings and boardwalks that recreate the Klondike Gold Rush. 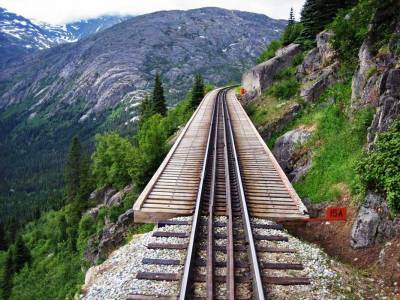 The most popular attraction is the White Pass Yukon Route Railway, but there are a number of other things to see and do. 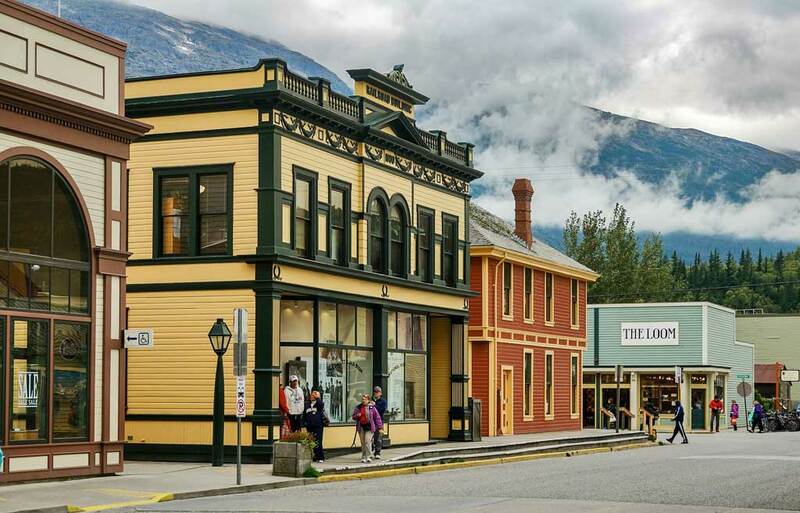 So, visit Skagway and take a tour. 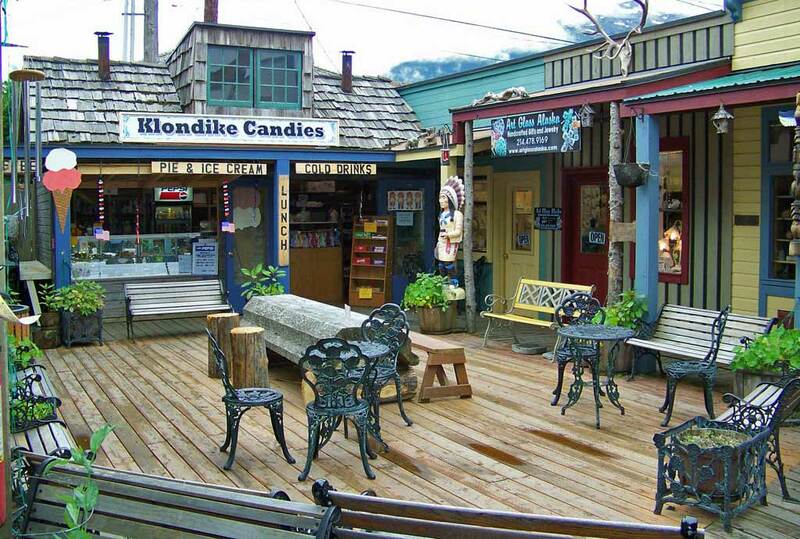 Visit the shops of the Klondike Gold Rush town of Skagway. 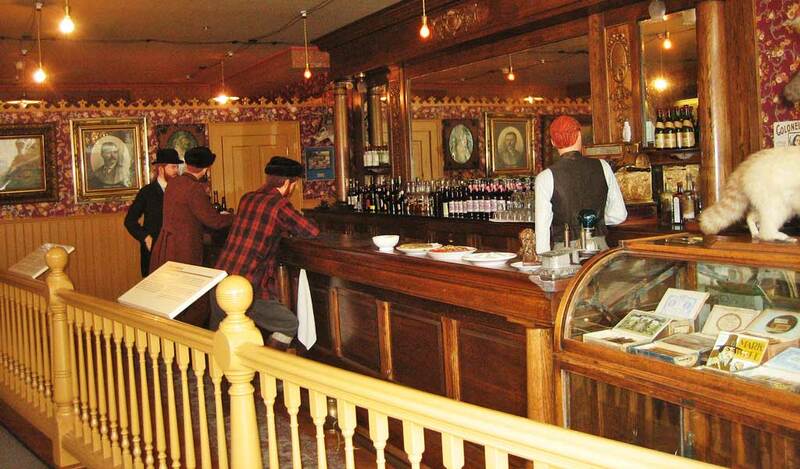 Have a drink at the Red Onion Saloon. 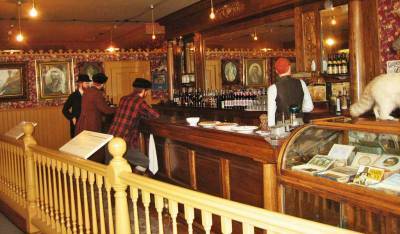 Visit the Mascot Saloon, which is part of the Klondike Gold Rush National Historical Park. 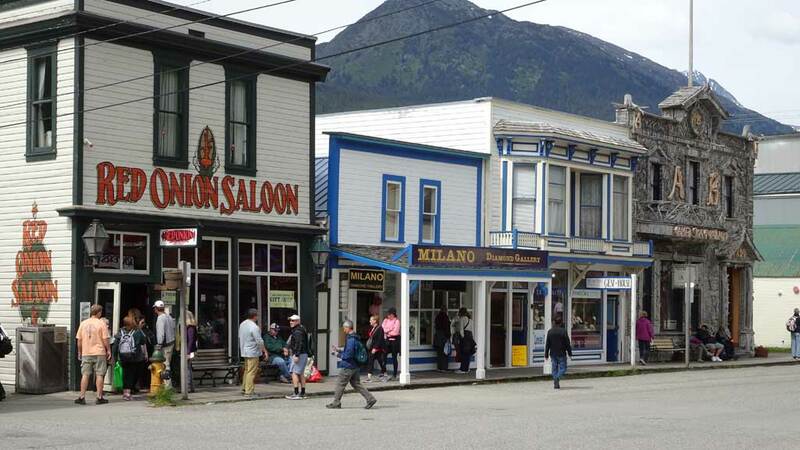 Take the Skagway Alaska Street Car Tour to sights like the Klondike Gold Rush Cemetery. 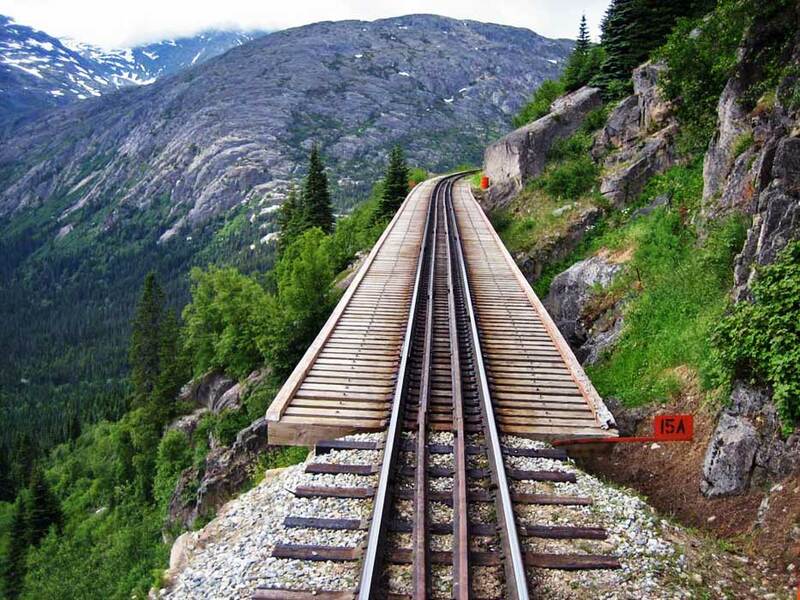 The White Pass Yukon Route Railway offers a number of options. The train starts right beside your cruise ship and the railway encourages passengers to book directly with their cruise line. 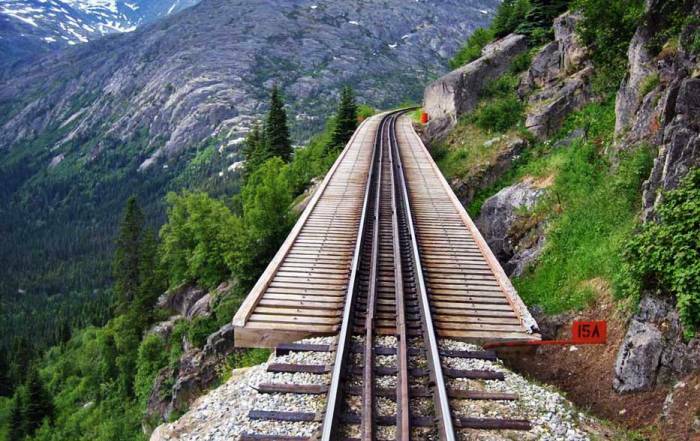 The most exciting section of the White Pass Yukon Route Railway is the first 20 miles over the White Pass Summit. You climb steep grades, cross ravines on trestles and pass through tunnels. You are allowed to stand on the platforms between rail cars, which makes the trestles and the tunnels very exciting. 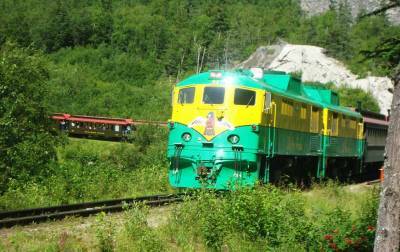 Read our White Pass Yukon Route Railway blog for more. The train turns around at Fraser, British Columbia to return to Skagway, but a second train continues to Bennett Lake and Carcross. Those who take the longer excursion will end up returning on the highway instead. If you want a lower priced excursion, skip the train and travel both directions by bus. 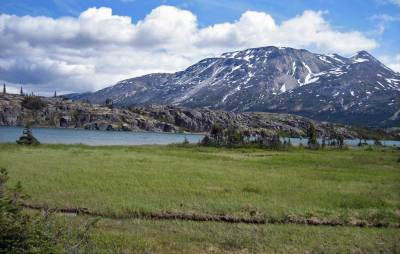 Skagway weather is affected by Pacific Ocean in the isolated Chilkoot Inlet. This region is protected from colder Arctic air in winter. June – August is the height of summer Skagway Weather. Expect average summer highs of 65 F (18 C) and average lows of 48 F (9 C). April – June is the driest time of year. Rainfall is highest in October, but is less than more exposed villages on the Gulf of Alaska. January is the coldest month, with average highs of 27 F (-3 C) and average lows of 17 F (-8 C). January is also the snowiest month, with an average of over 1 foot (35 cm). Early May is a great time to visit Skagway and still avoid the height of the tourist season. It’s hard to predict sunny weather at any time of year in Skagway though. Most tourists get to Skagway by cruise ship, but Skagway is one of the few towns on the Alaska Panhandle that you can reach by vehicle. The Klondike Highway connects Skagway with Whitehorse in the Yukon. 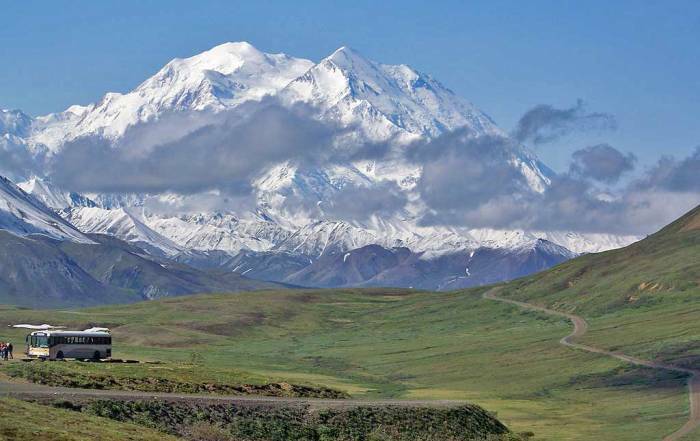 From there, highways head west to the main section of Alaska or south to the lower 48 states. 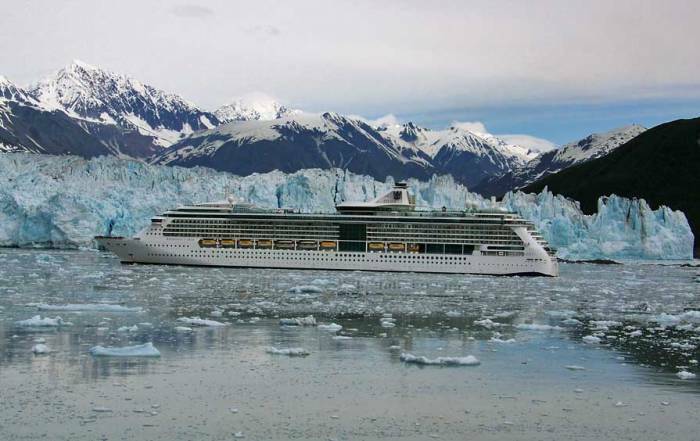 You can also get to Skagway on the Alaska Marine Highway System (ferry system). 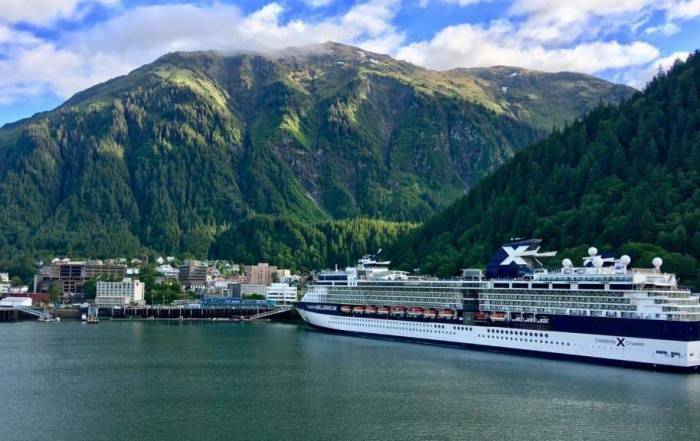 During the height of summer, up to 6 cruise ships per day can dock in Skagway, so visitors far outnumber locals during tourist season. About 900 people live year round in Skagway, but with up to six cruise ships visiting each day in summer, Skagway is a busy place in summer. The town still has a Klondike gold rush feel to it. The boardwalk streets and false front buildings make you feel like you’re in the old west. 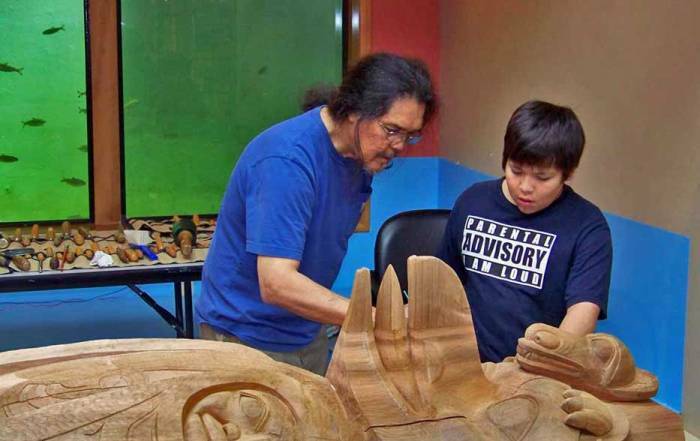 The original Tlingit (klinkit) name for the area was Skaqua. In 1897, the gold seekers began arriving trying to reach the Klondike Gold Rush. The town quickly grew to over 10,000 without any form of law or order. When local hero Frank Reid challenged outlaw Soapy Smith, they both ended up dying in the battle. Both are buried in the Skagway Gold Rush Cemetery.